Uniting for Action is founded on the principle that all the resources required to create a sustainable society, effectively addressing all our greatest challenges, like climate change, already exist. We simply have to organize and appropriately apply those resources to the tasks at hand. In that case, the only thing standing between us and achieving a sustainable society is adopting and executing effective strategies. We’re identifying the forces that move society, and we’re developing strategies to work with those forces, and not against them. The Strategies for Action on this page are the strategies we’re incorporating into our Campaigns for Action to bring together many of the Forces for Action, working in concert and synergy, so that we can effectively execute the types of large-scale, coordinated actions required to effectively guide society towards a sustainable future. 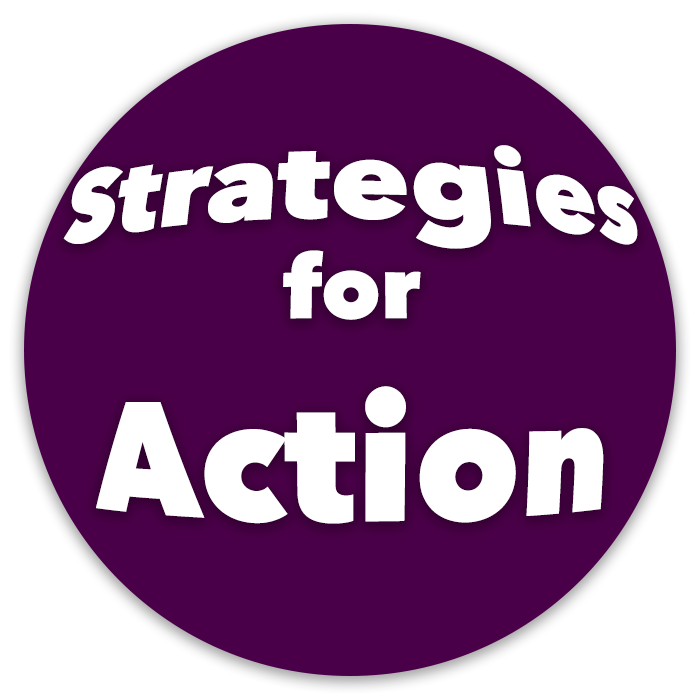 Our objective with this website and with this Strategies for Action page is to pull back the curtains for the public, and for our prospective Members and Partners, to reveal and communicate Uniting for Action’s focus on the strategic aspects of everything we do. 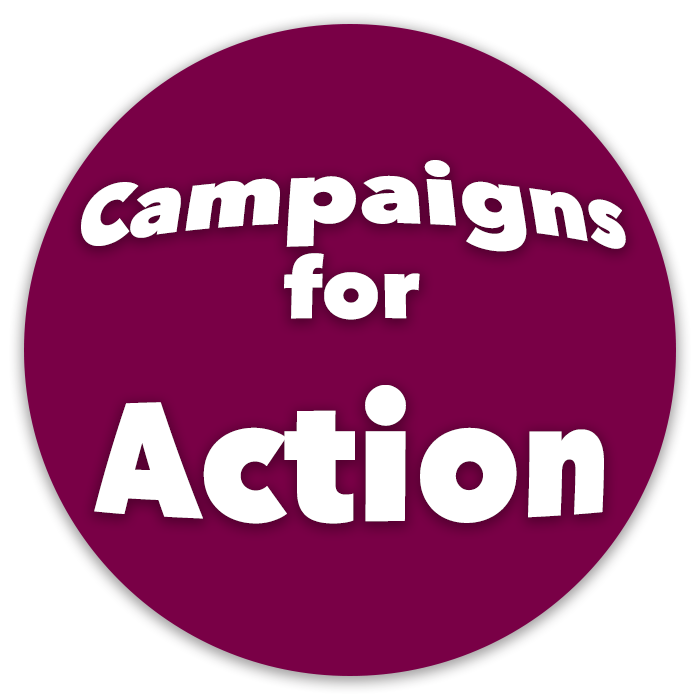 The Campaigns for Action we’ve outlined here are compelling visions of how we could achieve our strategic objectives. Since we require the participation of many organizations and strategic partners to execute these campaigns, the campaigns will be molded to adapt and adjust to the resources that join our collective efforts. We aren’t attached to how the campaigns unfold – everything will be perfect exactly as it is. We’ll simply stay committed to achieving our strategic objectives so that we can keep ramping up our efforts until we’ve scaled big enough to achieve our ultimate strategic objective – attaining a sustainable society. As a society, we place a lot of value on hard work, and a lot of times we take solace in our strong efforts, even if we don’t produce our intended results. While hard work is admirable, it must be combined with an effective and achievable strategy in order to create our desired outcomes. Our time and effort is too valuable to spend so much societal energy making the arduous trek to the top of a tall mountain only to find it’s the wrong mountain. Both campaigns were very successful at deploying a lot of tactics, mobilizing masses of people across the country in demonstrations and other organized actions. 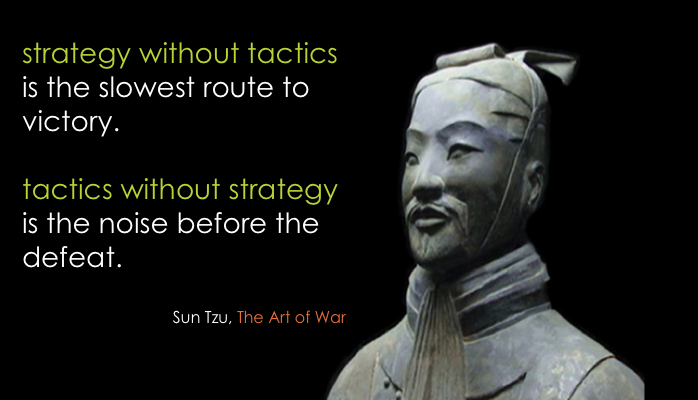 In the end, the final outcomes were far from what had been hoped and intended by the participants, clearly teaching us that, like Sun Tzu said, tactics without a winning strategy is nothing but us making a lot of noise before our eventual defeat. 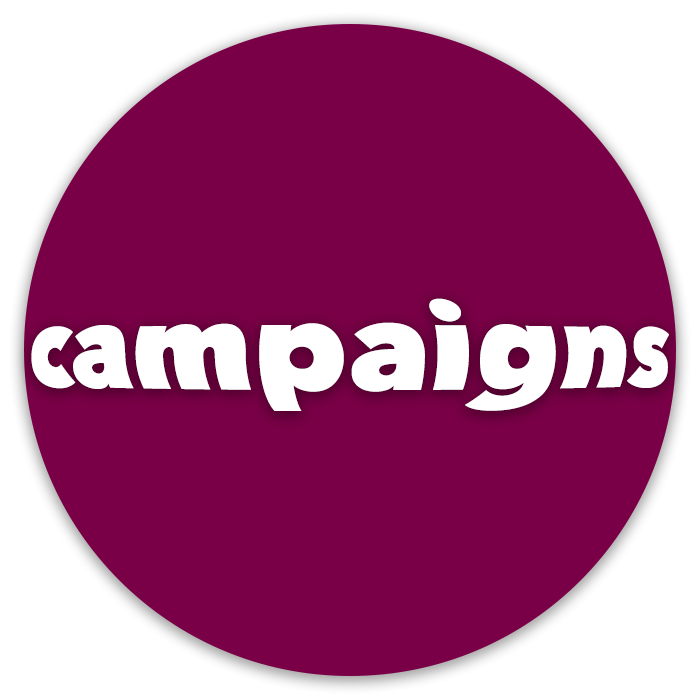 All of our Campaigns for Action are strategic building blocks, working towards our ultimate objective of creating of a sustainable society. This adds significance to what we’re able to accomplish with each campaign, not just for the results that we see on the surface, but for how the execution of each campaign lays a foundation for the campaigns to come. A lot of energy has been stirred up in our society lately. Many of us can no longer be complacent about issues that are important to us. Petitions, marches, and demonstrations, by nature, almost always oppose something. Uniting for Action Members have experienced enough of what we don’t want. We’re now inspired and motivated by the opportunity to help direct the the energy in society towards creating what we strongly desire. Our society has long embraced competition in a win-lose scenario. This has created a lot of socioeconomic challenges, producing many more losers than winners in our society. Those of us that value this win-win type of approach – typified by seeking cooperation, collaboration, and synergy – and want to see it expand in our society, should pay close attention to the people and businesses that we chose to support with our time, energy, and money. As we withdraw our support from those not in alignment with these ideals, and redirect our support towards those that are doing their best to embody and promote a win-win approach within our society, we create a positive feedback loop that connects success, prosperity, and growth to those that operate in these ways, eventually making it a social and business liability to not seek ways to work together for the common good of all. This is how we create conscious evolution – making conscious choices to intentionally direct the evolution of our society. There is widespread awareness that we have to work together in cooperation, collaboration, and synergy to effectively address our societal and global challenges. Those that embrace this are the Members of Uniting for Action. Many others, upon seeing inspiring and educational content, will immediately feel a resonance, and will become Members. It is important that Uniting for Action Members do not seek to convince anyone to join us. Every time an issue pops up, a multitude of parallel grass-roots efforts are born. These efforts, by and large, repeat the same organizing that was done prior and will be done again around different issues that are of concern to many of the same people. Given today’s modern technology and Internet connectivity, the duplication of efforts that are happening over and over is stunning. How we have been responding as a society is highly inefficient and grossly ineffective. 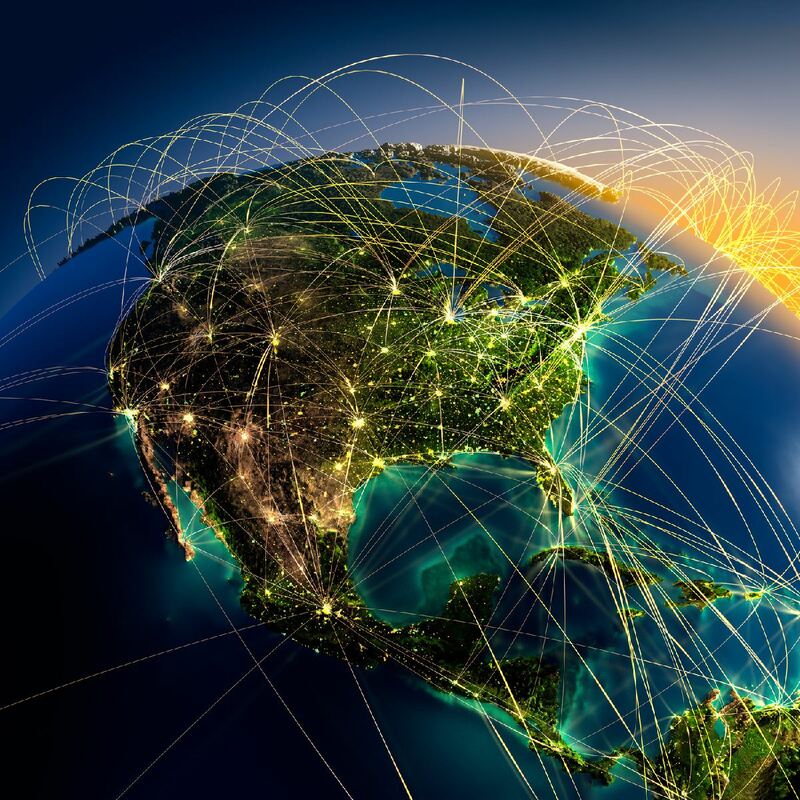 Uniting for Action is working with organizations to leverage the power of the collective to more efficiently and effectively build and manage our network of networks. To build a system that allows us to effectively organize and coordinate our actions across society, we simply need everyone that wants to create this result contribute to a collective pool of resources. In every other aspect of society we understand that massive results requires massive investment of resources. We have to stop living as if somehow this will all get worked out and taken care of by some yet-to-be-determined savior. Who do we think is going to take care of this? We have to take responsibility enough for our own lives and our own desires to align some of our resources with this result that we want. In the beginning, we will be able to begin ramping up through each Member contributing a manageable amount for them, which cumulatively will allow us to hire the necessary programmers, video editors, social media administrators, etc. to scale our organizational efforts large enough to address our greatest challenges, like climate change. In future phases of Uniting for Action, we’ll introduce additional mechanisms to generate and organize resources on a more massive and impactful level, eventually pooling resources from millions of Members and corporate supporters to effectively overcome societal and global issues that are currently beyond the scope of any existing organized entities. We’re taking a crowdfunding approach, like Kickstarter or GoFundMe. This is the same approach governments takes to providing public services, like roads, schools, and firefighters. 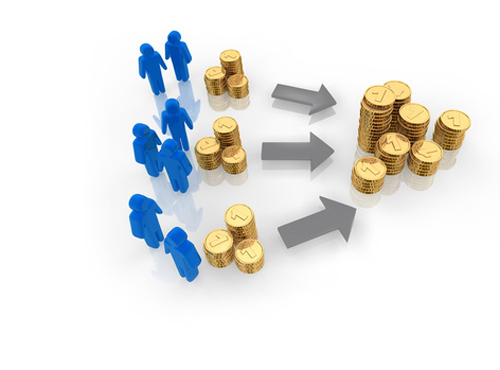 Each Member contributes a modest and manageable amount to our collective pool. 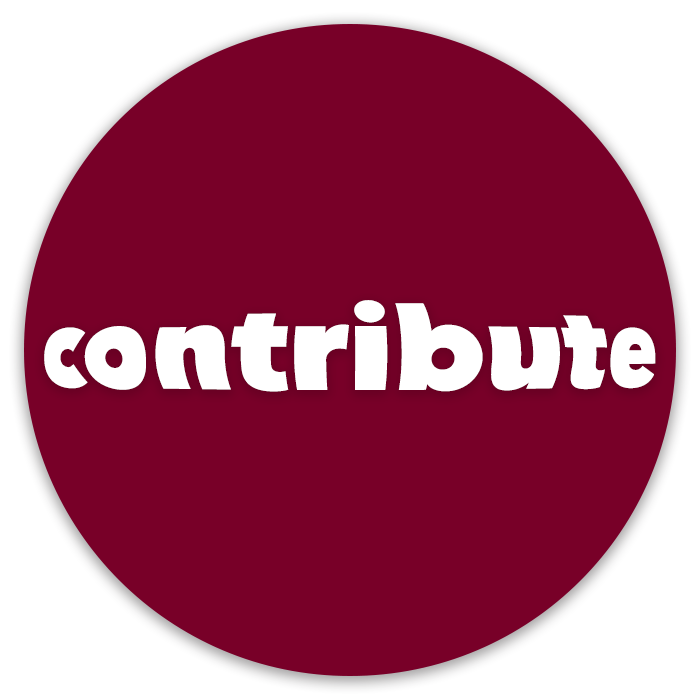 Many small contributions add up to the resources necessary to effectively create the results we all want. 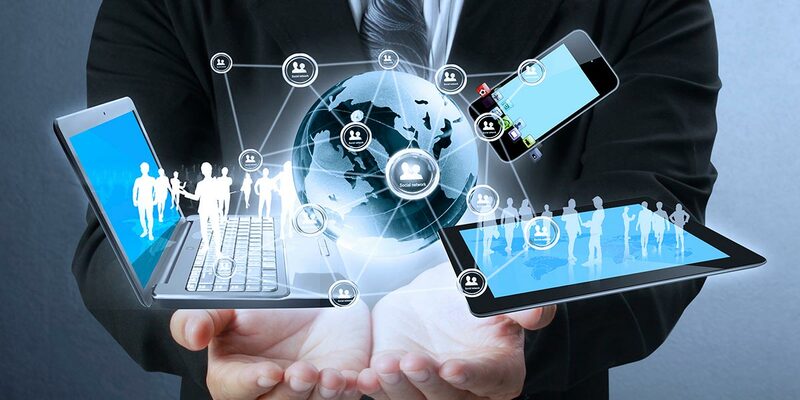 On this site you’ll find some technologies that we built to accommodate some of the needs we’ve identified to operate more effectively and efficiently as a society. Most of the most popular social media platforms and apps that people are using were not designed to support some of the urgent needs we have as a society to rapidly evolve and effectively address the pressing local and global issues that we face. One of the primary objectives of Uniting for Action is weaving together existing technologies, and building new ones when necessary, to facilitate effectively achieving the Campaigns for Action and the Strategies for Action outlined on this site. The most shared information on social media are inspiring videos and memes. 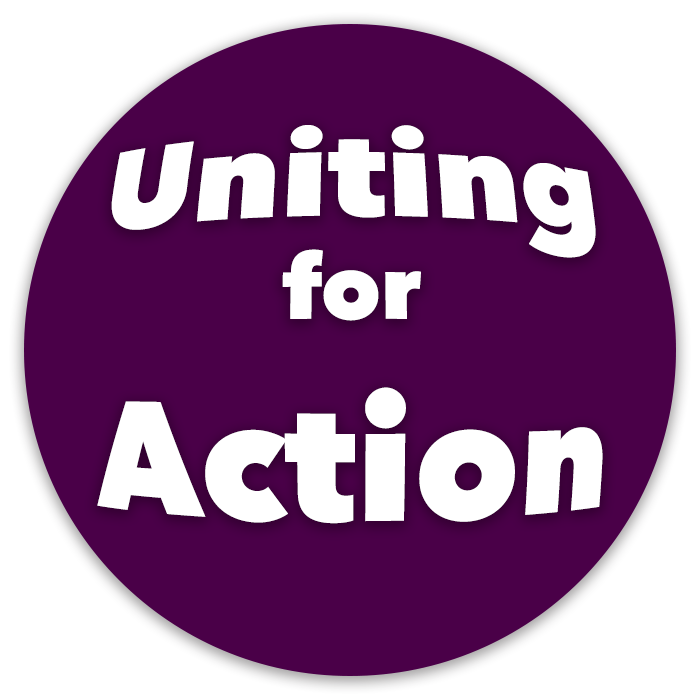 In order to effectively leverage this dynamic, a primary function of the Uniting for Action website is to provide tools for Members for Action to share educational and inspirational content through their social media channels and with their friends and family. This already happens naturally, but the current sharing on social media typically does not lead to the opportunity to dive deeper into the shared issue, nor plug into an organizational system that allows inspired viewers to take collective action. These are the next-level ways that Uniting for Action Members will be using social media to educate and inspire their friends and family to plug into the issues that they care about, and take collective actions around the topics that are most important to them. The people that have the largest and most engaged networks in our society, through their Twitter, Instagram, YouTube, and Facebook followers are celebrity personalities from movies, television, music, videos, fashion, sports, news, business, etc. These are the influencers of our society. By earning the endorsement of and developing compelling content with these influencers, we can greatly accelerate the popularity and support for Uniting for Action. Uniting for Action seeks to actively inspire and enroll the support of influencers in every sector of society, at every level of society. This includes global influencers, local influencers, influencers within specific communities, etc. In order to transform into a sustainable society, we need to successfully align sustainability with the socioeconomic, political, and financial forces that drive our society. We need to make it very popular, politically advantageous, and highly profitable for the people, politicians, and corporations to align their support behind sustainable practices and policies. This happens when we grow our Membership base into millions of people whose combined and aligned purchasing power will be very visible and highly coveted. By supporting and rewarding with our votes and our consumer dollars in a demonstrative and quantifiable way, a snowball effect will develop where more and more businesses will court our consumer purchasing bloc as it becomes more and more profitable to do so. We will eventually grow this dynamic to where some of the largest corporations, like banks, energy companies, auto makers, etc. will want to be the first in their industry to be recognized for being leaders for sustainability. In recognition of this, more and more “Wall Street money” will shift from businesses that are lagging behind to businesses that are leading the way. This is already happening to a certain degree, but not so much yet that many “traditional” corporations are abandoning damaging practices. It is also important that we, as consumers, take a hard look at the gasoline we are burning every day, the electricity we are using, the plastic we are buying, etc. and curtail our demand for the products and processes that are not in alignment with our ideals. Once we organize and align our Members for Action in ways that can clearly be measured by corporations, Wall Street investors, and government officials, our leverage and influence on decisions and policies will increase immeasurably, and move us into a positive feedback loop that will achieve sustainability. We have to organize and synergize our efforts, and keep scaling up. Scaling to the necessary scope to overcome societal and global challenges is a self-defining statement. If we don’t scale to the necessary scope, there is no way to overcome the overwhelming challenges we’ve been facing. If we want to maintain a functional society and a habitable planet, we have to get on the same page, Uniting for Action, to create the world we want to live in now. These are the strategies that are the foundation of what Uniting for Action is being built on, and we ask that all Uniting for Action Members, especially partner organizations and businesses follow these strategies as much as possible. We firmly believe that if we all operate by these strategies we will successfully maintain a habitable planet and achieve a sustainable society in our lifetime! There are so many people, businesses, and organizations doing so many great things in the world, but there is also tremendous duplication of efforts, and inefficient use of resources – all at the same time that there is a very wide gap between where we are and where we want to be as a society. We must be strategic in how we work together and apply the resources at our disposal to the tasks at hand. We can all exponentially grow our results by coordinating and synergizing our efforts, which is why we’ve put so much time and effort into sharing our Strategies for Action. 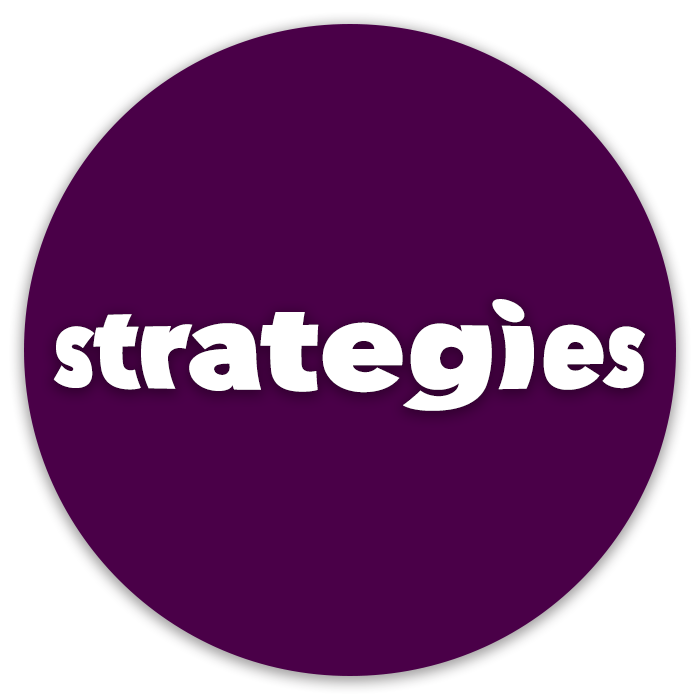 Our intention is to share very clear and compelling strategies that everyone can get on the same page with. The first step towards getting agreement and cooperation from others is creating and sharing a compelling vision that people want to get behind. If the vision isn’t compelling enough to have people and organizations risk their time, energy, and resources to achieve it then it will be a lonely effort. Our society has been built for so long on the idea that we’re all competing against each other for what we want and need. While we know intellectually that we have to work together to achieve most of our shared ambitions, there are very few systems in our society that exist to effectively facilitate mass cooperation. We’re providing a structure that allows everyone to plug in, offer what they can provide, and connect all the resources together in a way that collectively we create fulfilling and impactful results. While we all know the Golden Rule – “do unto others as you would have them do unto you” – there are a surprising amount of decisions, policies, and actions happening at every level of our society that don’t seem to be honoring this basic tenant of humanity. Let’s be careful to ensure that all our actions are in alignment with what we want for ourselves. It’s very important that Uniting for Action is a non-partisan effort – that people of all political orientations feel welcome and want to participate. We can never create effective solutions for any of our societal challenges as long as 50% of the population opposes them. Together, those of us that choose to embrace the challenges our society and our planet are facing will unite around our common concerns. We all understand and accept that there is a political process that we get to work with, as it influences several of the Forces for Action, however there are many other non-political Forces for Action that we can work with simultaneously. We cannot allow the health and wellbeing of ourselves, our families, and our neighbors to be paralyzed by the political games in our country. We have to be bigger than that, fully expecting that our elected representatives will eventually respect the will of the people as we become more and more organized and better able to hold them accountable to the will of the people. What has happened, or what is happening is the reality we have to deal with, and there’s nothing we can do to change what has already happened. If we don’t like it, we can take actions to alter the course of how it goes from here. Any time or energy we spend resisting what has already happened, or wishing it was some other way doesn’t serve us. It only serves us when we channel that energy into doing something about it. If it is bigger than us, then we can find others who agree, and we can organize with them to grow big enough to have some influence. What is important for us to do as a society is to use our voices of dissatisfaction, dissent, and disgust as the necessary step – the recognition of the contrast of what we don’t want – towards powering us with commitment and vigor in the equal and opposite direction towards what we want. If we only take the first step (being vocal about what we don’t want), and we never take the second step (taking massive action towards creating what we want), then we will never have what we want. We aren’t attached to how any of this unfolds. Everything will be perfect exactly as it is. We’re simply focused on achieving our strategic objectives so that we can keep ramping up and scaling up the strategies we’re implementing until we’ve scaled big enough to achieve our ultimate strategic objective – attaining a sustainable society. We are not against anything. We are only FOR what we want. If we want it more than a wish, then we are willing to take action to create what we want. As a society, we often focus on those that aren’t doing what we want or what we like, and we’re quick to express our displeasure. If we want the alternative, we have to seek out and positively reward and strengthen those that are champions for what we want so that they can grow and expand their reach and influence. That’s how we proactively create the world that want. When citizens violate the laws of the society, it becomes necessary to punish those individuals appropriately in order to protect the well-being of the law-abiding citizens. We all agree that it is appropriate and necessary to punish thieves and those that assault others because we don’t want to live in a society where stealing and assault are acceptable forms of social interaction. While it is relatively easy to identify these type of injustices in one-on-one circumstances, somehow it has become much more challenging for us to discern or mentally accept the human, civil, and environmental injustices that are perpetrated on mass scales on a daily basis. 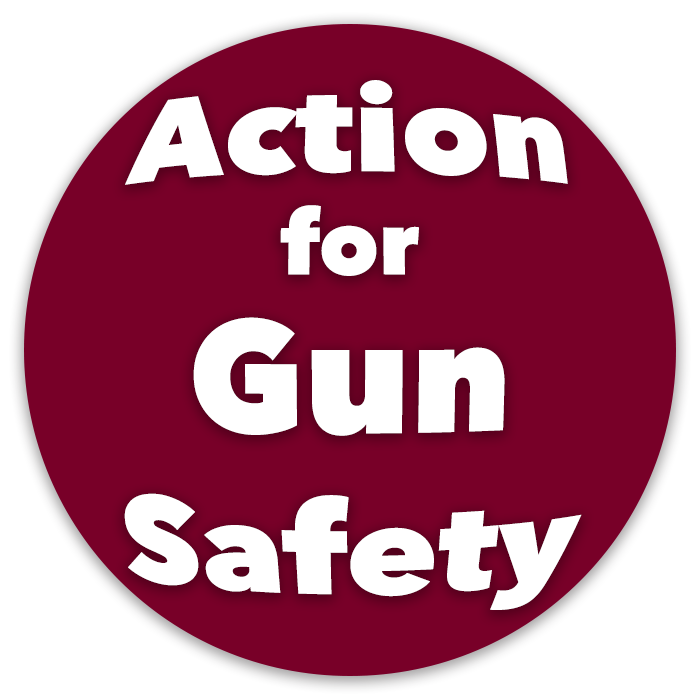 In many cases the offending actions don’t even currently violate any laws or regulations. Those of us that are being affected, which is all of us in the case of many issues like climate change, pollution, etc., need to organize enough to be able to effectively punish the parties that are being given free reign to assault us, as well as punish those that we have charged with protecting us that are being derelict in their duty. What would happen to a police officer that watched an assault happening in front of them, and said it was ok? We have to start punishing all of those that are complicit in our assault. We have to use whatever leverage we have – political, economic, etc. – to set a higher standard for how we are to be treated. Up until now, everyone has been playing their own tune. Trying to play louder than the next to be heard. The only thing possible was a cacophony of noise. It’s been difficult for anyone to hear anything. It hasn’t been pleasant to tune into. We’re organizing. We’re agreeing on music. We’re practicing together. We’re preparing to dazzle our audience and create a compelling performance that effectively inspires and moves our audience to hear us, to buy our music, and to dance with us. We are sharing a hopeful and compelling vision. 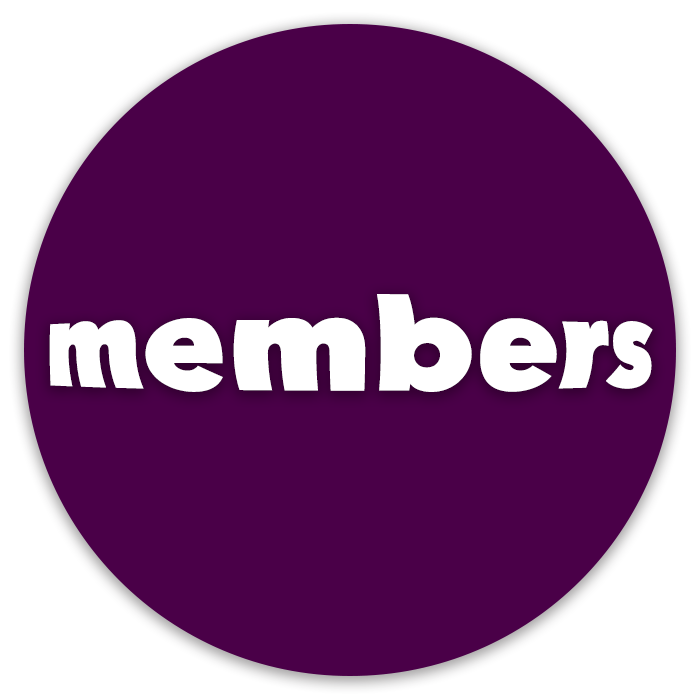 Many people, upon receiving it, will feel a resonance, and will become Members. We don’t seek to convince anyone to join us. Part of the inspiration behind organizing this collective effort is the highly inefficient practice that we are employing as a society of initiating a brand new grassroots organizing effort, often on a massive scale, nearly every week, that nearly duplicates the previous week’s effort by a different group. It is time for all of us managing all these disparate networks, each spending massive amounts of time, energy, and money building duplicate infrastructure to pool our resources and efforts to create teams and systems that can serve all of our networks simultaneously far more effectively and efficiently, as we each bear a fraction of cost of a collective system, instead of each of us bearing the entire cost. Lots of people are doing lots of great things on their own, and in small groups of partners, but we have to step our game up and take it to a much higher level collectively as a society. Like an assembly line, where each person does one specialized task over and over, rather than lots of people or organizations have to be expert at everything, whenever possible, we will identify and delegate specialized aspects of Campaigns for Action. There are so many people, businesses, and organizations that have been working for a long time in many interest areas. They’ve done such a great job in bringing our society as far as they have. We want to help empower them even more by providing more support infrastructure and more synergy from other Forces for Action to help amplify their voices. 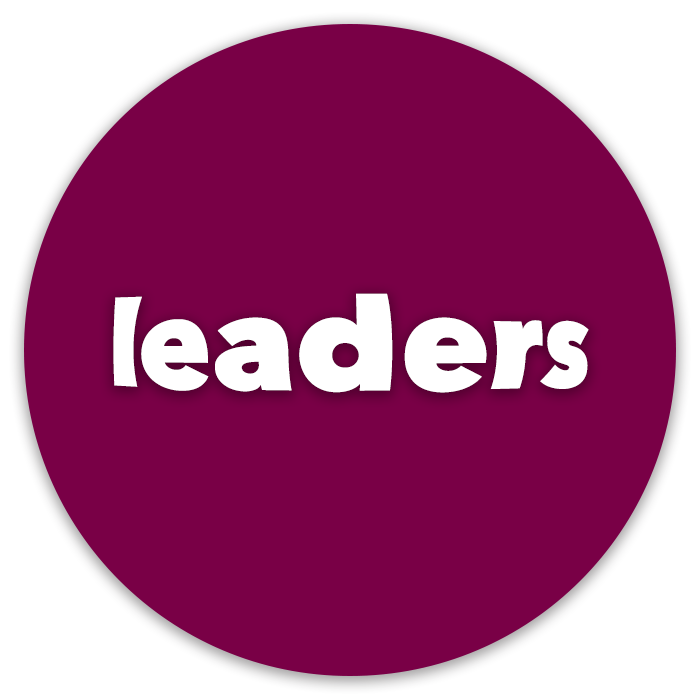 That is why the Leaders for Action are featured so prominently on this website as well as in our Campaigns for Action. Let’s all show our gratitude to these leaders by putting our energy and support behind them, helping them feel the support they deserve. Society always evolves naturally, but when there are very strong and well-funded entities that have built our society that are willing to go to great lengths to protect what they’ve already built, if we want to create something new, without the strategic vision and focus on the importance of strong foundations at every level, cracks and instabilities can be overlooked or even exploited. In order to prevent what we’re building from potentially crumbling under the weight of what gets built on top of it, we must be very strategic about how we’re allocating our resources, ensuring that we’re evolving in the direction we seek, maintaining a strong foundation as we go. Through out Strategies for Action we’re outlining a series of strategies to hyper-accelerate our evolution as a society, making sure each Campaign for Action is successful in strategically laying a foundation for the next, so we can hopefully achieve sustainability while our planet is still habitation-friendly. Use incremental successes to keep attracting more partners with more influence and resources to continually expand the scope of our efforts and results. The corporations that are literally building our society, and creating our reality, are the most massive and sophisticated mechanisms ever created. When the will of the people is in opposition to the will of these existing mechanisms, we have to do everything we can to build bridges, and find ways to create agreement with those existing mechanisms so that we can create win-win outcomes for everyone. Whatever we want will be infinitely easier to achieve if the ones we want to change are in agreement with us. As consumers, we can influence the actions of corporations by choosing what we make profitable. We as consumers, get to decide what is profitable, based on what we buy. If consumer demand is not there, it is not profitable, and corporations will not continue to focus their energy is where they cannot create profits. In this way, it’s incumbent upon us, as consumers, to take responsibility for the actions of corporations, by taking responsibility for our own actions, including which corporations we support with our consumer choices and dollars. This type of consumer driven control of the direction our society and the environment heads becomes amplified by Wall Street, or investment backing. Investment dollars will always flow towards the most profitable and promising corporations and industries, so it makes our choices of which businesses and industries to support even more important, when they become magnets for investment dollars and resources. A central goal of Uniting for Action is growing our combined and collective purchasing power to the point that we effectively influence corporate choices and investment backing. 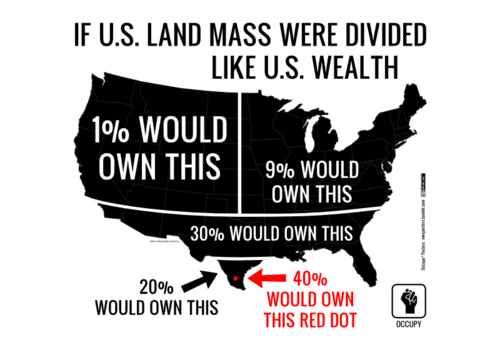 In order to make a difference on the scale that we want to, essentially having to tip the scales away from the most powerful consortiums and cartels on the planet, we have to organize ourselves in the numbers and resources on the massive and almost unimaginable levels necessary in order to tip the scales in our favor. All of that starts locally, with our Rallies, Marches, and Gatherings. As we build our nationwide network of people, organizations, and businesses inspired to take collective actions together, we can coordinate and synchronize actions on bigger and bigger scales, until we start to get the bigger corporations, public figures, organizations, etc. to build our influence and resources big enough to start to turn the tide in our favor. There is no way to overcome our local and global challenges without scaling to the necessary scope to overcome them.